People who live with dementia are constantly in danger. If they neglect to turn off the burner under a pot of soup, they could set the house on fire. When they forget how to get home from the corner store, they might wander for miles before someone finds them. The staff at Visiting Angels in Winter Park, FL, knows that the worrying never ends when a family member has dementia. They’ve made countless dementia care referrals to families in need. In addition to dementia care services, Visiting Angels also provides referrals for caregivers who offer respite care and senior home care. 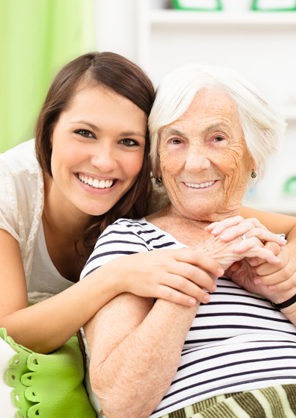 Senior home care from a caregiver who is also experienced in providing dementia care will allow your beloved elder to remain safely in her home rather than having to undergo the stressful transition of moving to a nursing home. A Visiting Angels-referred caregiver will help your loved one in a variety of ways, such as cooking meals and providing light housekeeping services. Seniors with dementia may forget to eat or clean their home, but with a caregiver referred by Visiting Angels, you won't have to worry: They’ll make sure your mom or dad remembers to eat, and will keep your beloved senior's home clean and neat. It can be difficult to convince an elderly family member to stop driving. And even if you do manage to convince your loved one that driving is no longer safe, he or she may forget about the conversation and get behind the wheel without your knowledge. Caregivers from the Visiting Angels referral network will handle all of the driving. They’ll take your beloved senior to stores, restaurants, and doctor’s appointments. Furthermore, senior citizens who have dementia can become isolated and depressed. When their memories start to fail, they may have difficulty maintaining friendships, even though they still want to spend time with other people. The caregiver who provides dementia care to your loved one will spend plenty of time talking to and reminiscing with her and will provide an important social outlet. The sooner you call Visiting Angels in Winter Park, the sooner you’ll be assured that your loved one is receiving the quality care he or she needs and deserves. Call them today at (407) 236-9997, or visit their website for more information on dementia care referrals.